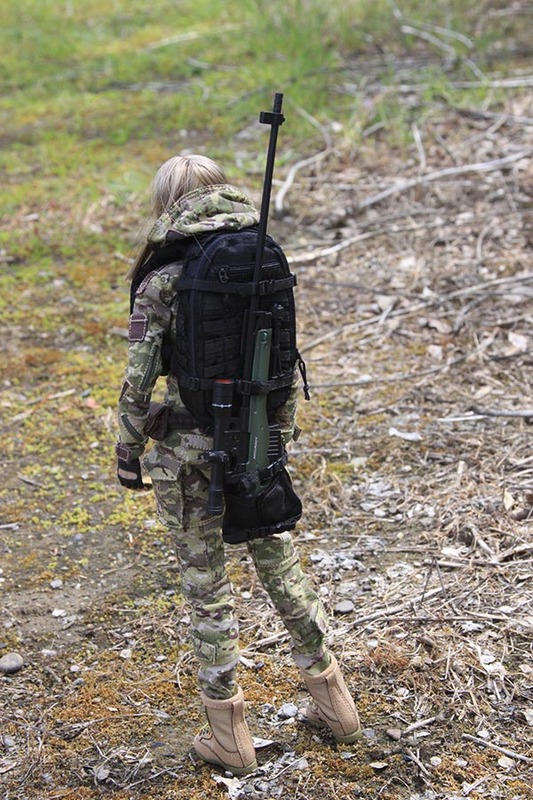 Yet another in Very Cool's line of female "shooters"- operators or PMCs. They've all been different, and each has featured a really nice head sculpt. I know this one is supposed to be an actress as well, but I haven't seen any movies she's been in so I have no idea who she's supposed to be. This is a good thing for me as it allows me to create my own character without being influenced by who she's "supposed to be". Here's how I've set my Villa up. 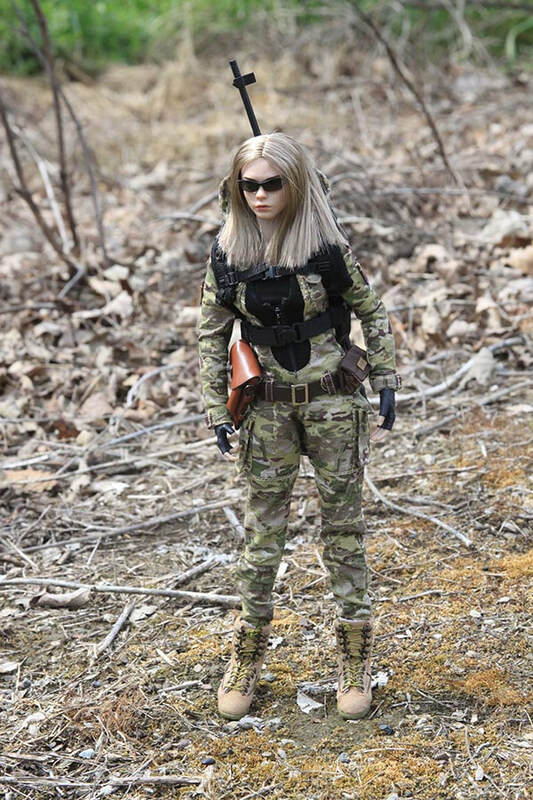 From the time I first saw the promotional photos, I envisioned her as a sniper. 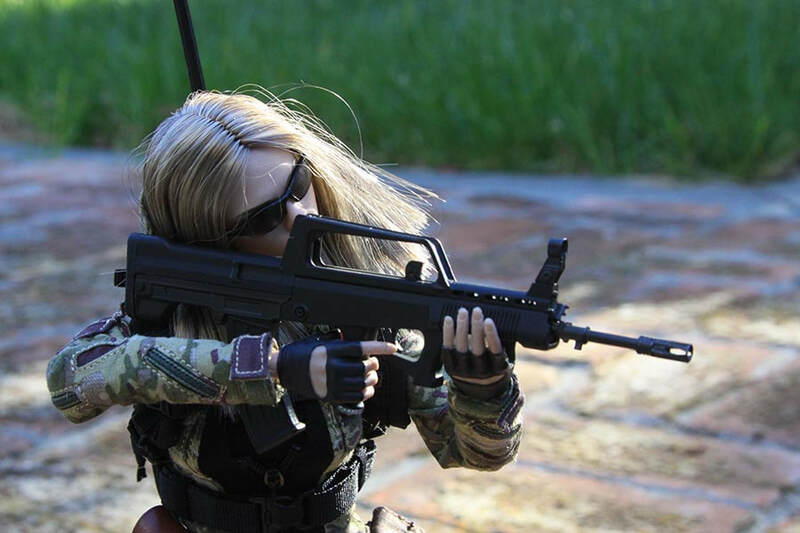 I changed her main weapon to a sniper rifle (from the Very Cool Defender Of Fox Legend figure). As she is a bit light on weapons, I decided she needed a Makarov sidearm (from the DAM Toys Russian female paratrooper). 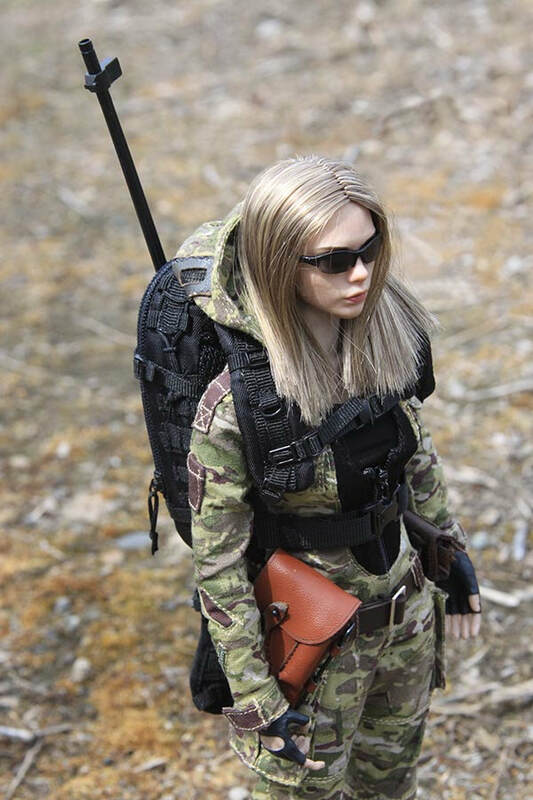 Since she's a sniper, I decided her backpack should be swapped for one that might be a bit more useful for a sniper. This one is from the DAM Toys PMC In Syria figure. I'm going to be adding some other things to Villa's load out. Eventually I'll come up with my own name for her as well. She's a lot of fun to pose so I'm looking forward to more photo shoots, and eventually she'll be in my saga. I decided Villa needed a back-up weapon. 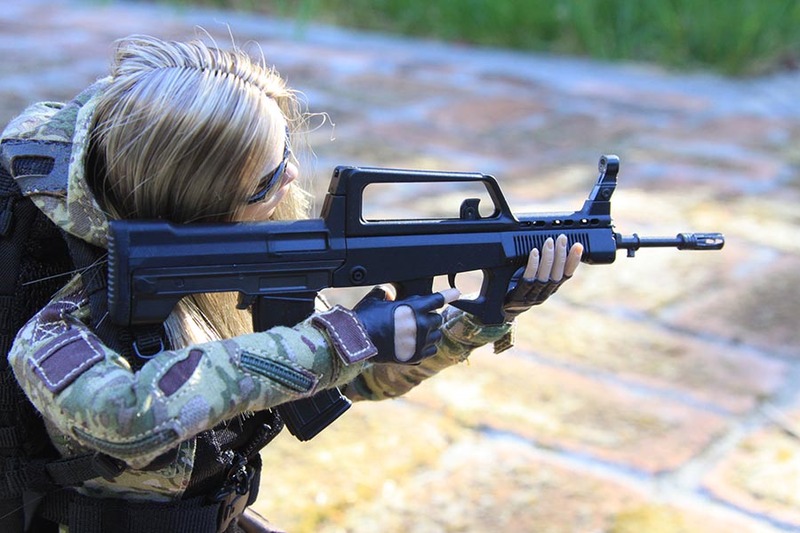 This Chinese QBZ95 rifle seems to suit her needs well.